Goodchild Engineering LLC is an award-winning high-tech design and engineering company with facilities in Phoenix and Los Angeles. We combine our passion for extreme technology with graphic design and storytelling to create unique attractions, exhibits, and performances with a huge wow factor. 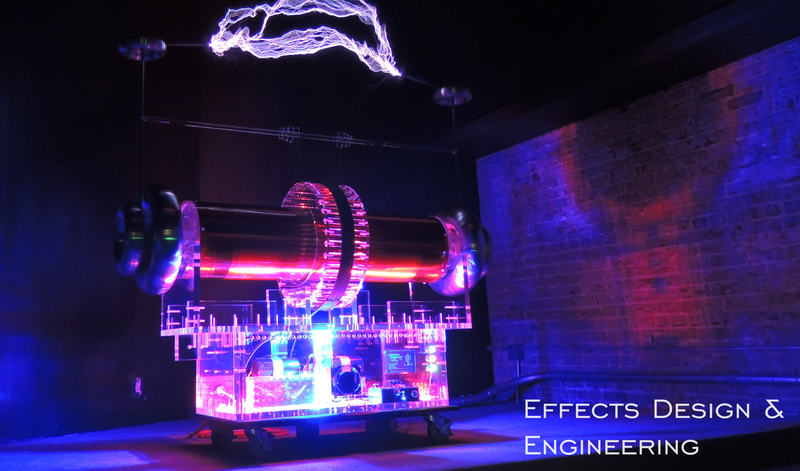 We specialize in musical Tesla coils, robotic instruments, and practical special effects. We create, develop and fabricate our hardware and combine it with story, music and videos to create a unique blend of entertainment. Our equipment, effects and videos are for use in themed attractions, films, museums, festivals, conventions or any place with an audience eager for an outrageous experience. We opened for business in early 2010 and then expanded our company with a team of entertainment professionals to include concept development and design services. Contact us today to take your idea to the next step, because the only excuse for impossible is lack of imagination!